iPhone 8 is only a few months away from us. Lots of news and leaks are buzzing in regarding its features, design, and looks. We have rounded up a few articles covering latest news and rumors about iPhone 8, but this time, we have brought out something different, but most wanted thing about yet-to-come iPhone. I am talking about the expected colors that Samsung Galaxy S8’s rival would come in. With the release of Red color in iPhone 7, the previous month, most of the Apple enthusiasts might be wondering that if there’s something new addition to colors in the new version of iPhone or not. If you are thinking the same, read on to know! 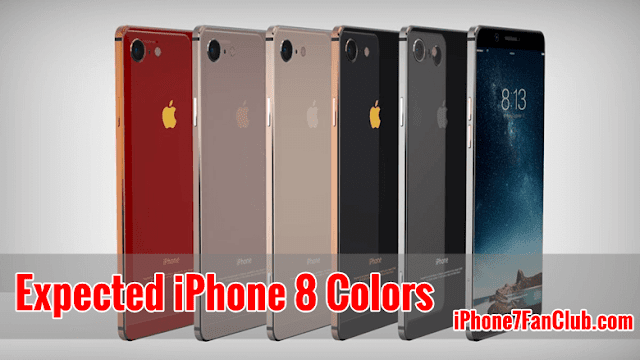 What Colors would be offered in iPhone 8? iPhone 5s (2013): Gold Edition. iPhone 7 (2017): RED Edition. Previously, Apple has offered a very range of colors in its models including the glossy jet black finish for iPhone 7 and before that, the company introduced Rose Gold option in iPhone 6s. Not only this, there was a Gold edition in iPhone 5s, that was considered to be the most striking color option that time. The new edition RED to the family of Apple is perhaps the most incredible color option that we can see in the iPhone. With this in mind, we can expect anything from Apple. The company can stick to the old colors including Gold, Rose Gold, Black and Jet Black and RED for its new flagship, also, it can introduce new colors and new design to make a mark in the tech market. That’s all we know about the expected colors for iPhone 8. If you want to keep pace with the information related to iPhone, stay tuned and keep your fingers crossed! Previous story What Are Unique Features of Upcoming Apple iPhone 8?